The book “The Cat NOT in th Hat! 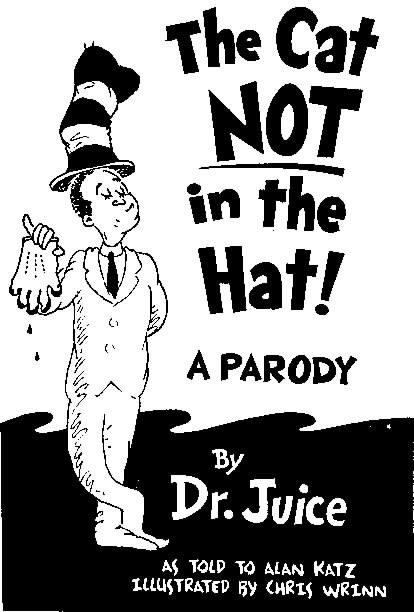 A Parody by Dr. Juice” was indicted as copyright infringement for infringing the original work, “The Cat in the Hat by Dr. Seuss”. The infringing work mimicked the original author’s style and gave a poetic rendition of facts of the O.J Simpson murder case. The defendant claimed that it was a parody, and that it was of transformative nature. The Ninth Circuit court judge O’Scannlain, however, found the defendant liable for infringement for merely satirizing the O.J Simpson case itself and not the original book, and for “borrowing” the image of the distinctive red and white striped stove-pipe hat. The result of this case is significant as it clarifies the difference between satire and parody and the extent to which a derivative work has to be transformative in order to be considered as fair use. Bearing in mind the four guidelines charted by the federal law that I outlined in the first post, I am going to explore how the judge reached the decision and whether this case should be resolved in this way. On the over of the disputed work, O.J Simpson is put into the tall, striped hat. Instead of wearing a bow tie, however, he is wearing a long tie; instead of carrying an innocent umbrella, he is holding a pair of blood-dripping gloves. The word “NOT” is all capital letters and bolded, signaling its distinction from the original work. The author also chose a pseudonym that rhymes with “Seuss” in honor of the book’s rhymed poetic lines, indicating that it has “juicy” content. So let us take a look at its content to see if it’s really a “parody” as the author claims, or a satire as the court determined. The definition of “transformative use”, which is one of the four guidelines, is at the center of the whole dispute. The disputed work recounts the trial from O.J Simpson’s perspective: “A man this famous/Never hires/Lawyers like/Jacoby Meyers/When you’re accused of a killing scheme/You need to build a real Dream Team” and “One knife?/Two knife?/Red knife/Dead wife.” The acceptable tranformative uses include but not limited to political commentaries, critical reviews or parody that ridicule the original author or work. Book reviews can use passages from the original work, as it gives a critical evaluation of the book and the author, thus stimulating intellectual exchange. Political commentaries enhance freedom of speech, as people don’t need to worry about being sued for copyright infringement while commenting on politicians’ work. All of these have one thing in common: they express their own opinions on the original work or the author. Yet in this “the Cat Not in the Hat” uses Dr.Seuss’s style, which is famous for its rhymed and easy-to-understand lines, to ridicule O.J Simpson. “Dr.Juice” satirizes his book’s main character instead of the original work or author. So the “parody” becomes mimicking the other’s style to ridicule someone who is unrelated to the original work. This is not parody. This is satire. The second most important factor that matters here is whether it harms the original work’s potential market. 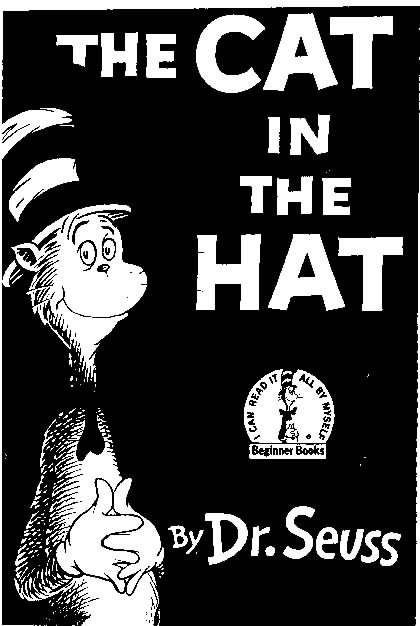 Dr. Seuss’s work have occupied a large market share ever since they first greeted the market. As we have seen before, the disputed work uses the symbolic and distinctive tall, striped hat on the cover, and assumes the pseudonym “Dr. Juice” that rhymes with “Dr. Seuss”. Most importantly, it copies the original author’s style. By doing these, it gives the readers an illusion that the two books are similar and that the Dr. Seuss Enterprises have authorized that author to do so. Although I doubt that the book can have big impact on the original work’ market, since the book is in fact interesting and does have some entertainment values, it will usurp some readership away from the firm base of the original work. And of course, Dr. Juice got the book published. It’s for commercial use. In summary, I agree and satisfy with the court’s decision that “the Cat NOT in the Hat” infringes copyright. This case gives us a clear example of what constitutes “fair use” and of the difference between a parody and a satire. It warns people about the content they are ridiculing: it’s okay to satirize the original work or author, but merely ridiculing other unrelated stuff is a big no-no. Furthermore, it deters potential authors who want to use others’ styles but still want to squeeze into the “transformative use” slot. Dr. Juice got to taste the “juice” of his own work. very interesting!! I didn’t know the legal difference before.. Excellent post, I have bookmarked this website and will read more later. One small addition: the name of the mock author, Dr. Juice, is itself a reference to O.J. Simpson, as Juice was his nickname! I found your blog Wednesday and started follow your posts regularly. I have not commented on any blog just yet but I was contemplating I would love to. It’s very exciting to actually contribute to a article even if it’s only a blog. I really don’t know exactly what to write other than I actually enjoyed reading through 7 of the posts. Nice articles indeed. I sure will keep visiting your blog regularly. I learned quite a bit from you. Thx! What youre stating is totally true. I know that everybody must say the same thing, but I just believe that you put it in a way that everyone can comprehend. I also love the images you place in here. They fit so well with what youre attempting to say. Im sure youll reach a lot of individuals with what youve got to say. I was looking for new information and came to your website by using google. You continue being a perfect source of information. Hi! Someone in my Facebook group shared this website with us so I came to take a look. I’m definitely loving the information. I’m book-marking and will be tweeting this to my followers! Exceptional blog and excellent design. I must thank you for those results you cash in on on paper this amazing guide. I’m hoping a similar best work from you in the foreseeable future too. In reality your own effective website writing skills has inspired my opinion to get started on my very own Drupal post at this point ,. Really the vehemently can be thinning out it is wings very quickly. Your article is really a first-class instance of the program. I am often to running a blog and i really appreciate your content. The article has actually peaks my interest. I am going to bookmark your web site and preserve checking for brand new information. When I open up your RSS feed it just gives me a whole lot of trash, is the deal on my side? I’m not sure the place you’re getting your info, however great topic. I must spend a while learning more or working out more. Thanks for magnificent information I was in search of this information for my mission. Pretty nice post. I just stumbled upon your blog and wished to say that I’ve truly loved surfing around your blog posts. After all I will be subscribing on your feed and I am hoping you write once more soon! I and also my guys came examining the good guidelines from your website and then got a terrible suspicion I had not thanked the web site owner for those tips. Those young boys were absolutely passionate to learn all of them and now have in actuality been tapping into these things. Appreciation for actually being considerably thoughtful and then for considering variety of great subject areas most people are really desirous to learn about. My honest regret for not saying thanks to you earlier. Thanks on your marvelous posting! I genuinely enjoyed reading it, you could be a great author.I will be sure to bookmark your blog and may come back in the future. I want to encourage you to definitely continue your great job, have a nice weekend! That was a really good post. You made some really good points and I am grateful for for your research! Take care!